We at Pixels Plus have been operating for over 20 years in Sydney on the lower north shore in Crows Nest and have been recovering lost, deleted files from digital cameras media cards for over 10 years. Have you ever arrived home from a holiday of a lifetime, only to discover you have somehow deleted all the photos on your camera or been asked to photograph a wedding only to find out that the images are some how missing? The staff at Pixels Plus in Crows Nest are the true experts in the field of image recovery and have had great success helping clients find ''lost'' digital images that have accidentally been deleted. Pixels Plus can recover image files, music files, video files and most data files from your media. The Pixels Plus recovery service can normally recover lost images, even from CDs which inexplicably refuse to load. Charges for recovery start at only $15 and there is no charge unless they are successful. Our recovery service can restore images deleted from camera cards and recover them from Corrupted or camera formated cards and also from CD's, DVD's, USB (pen) drives, Video camera hard drives and Mini Hard drives. Please Note: Price is for recovering files only. To CD, DVD or USB is at an extra charge. Digital Film (in other words a camera memory card) can be invaluable to replace so it's worthwhile knowing how to look after your card so you can get the most out of it in terms of longevity and reliable operation. Use the correct memory card for the camera and follow the manufacturer's insertion instructions. Cards should slip in neatly if they are correctly orientated. Never force a card into a slot. Note: a few recently released digital cameras can accept two different types of cards, giving you a choice as to what to buy. Most such cameras let you transfer fi les from one card to the other. Make sure the connectors are properly engaged when inserting the card in its slot before closing the card door (you may need to check that the card lifting tab is right down first!). Make sure the card slot cover is properly closed before turning the camera on. Some cameras provide a warning beep if users attempt to switch the power on while the card slot door is ajar. Never open the card door while the camera is writing data to the card. Some cameras have indicator lights that come on while this happening; others blank out the LED monitor. If you stop data writing too soon, you'll corrupt the image fi les and may permanently damage the card. Look after your cards. Although fairly robust, they can be damaged by incorrect handling. Keep cards in a dust- and moisture-free container and away from direct sunlight and heat sources when they're not in use. Dust and moisture can affect connections between the card and the camera, preventing data from being transferred properly. 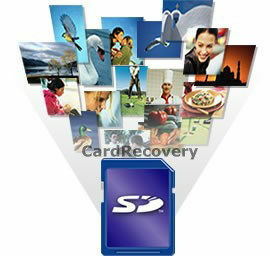 Format cards before use and whenever you experience data transfer problems. Note: this will erase ALL data on the card and should therefore only be done when necessary.